Cormac Ó Broin is an actor from Ballycastle, Co. Antrim. 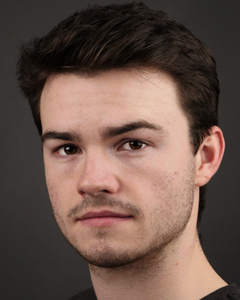 Previously Cormac has trained in Musical Theatre achieving a Grade 7 in LCM examinations and in Opera. He has mostly stage experience with an extensive resumé in both theatre and musical theatre. Cormac has been nominated for Best Comedian at AIMs and is a 2 time DCU Arts Bursary Award recipient. Most recently, Cormac has been on the US and UK tour of “Big Shot: The Musical”. He is a graduate of “The Applied Art of Acting” a three month intensive acting course under the tutelage of David Scott.